Today I am sharing an Easter card using two of the new die sets designed by Joset van de Burgt for Elizabeth Craft Designs which were released in January. For this card I used the Little Chick and Adventure Edges 2 die sets to create this cute Easter scene. 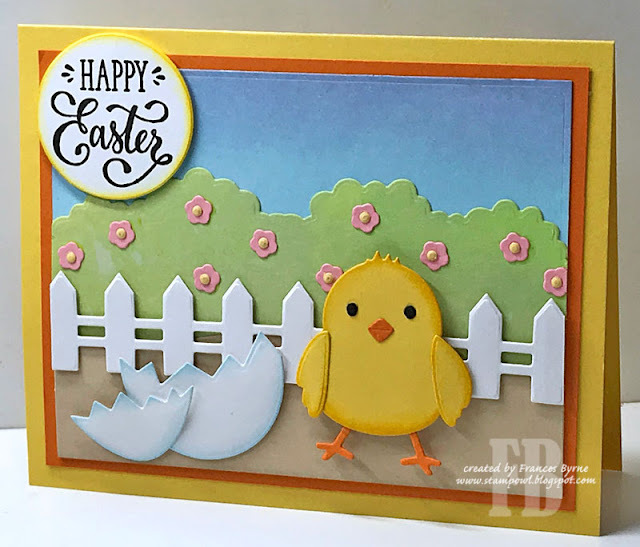 To create the background I sponged the sky, bushes and ground using inks and then adhered them to the card. 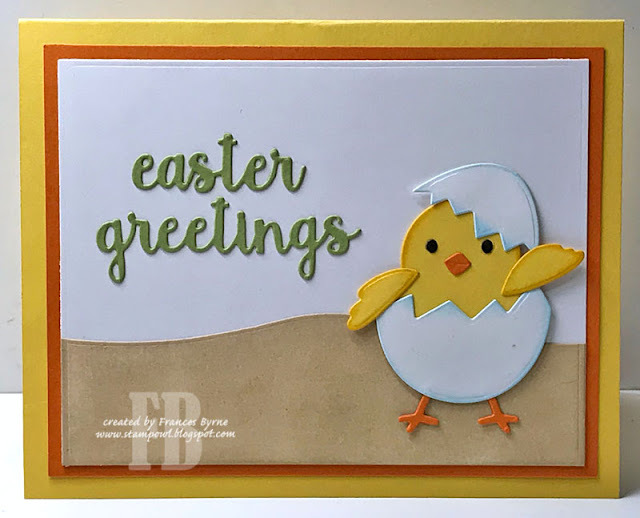 I added the Happy Easter sentiment which is from the Spring Sentiments Clear Stamp set and then die cut using the Fitted Circles die set. 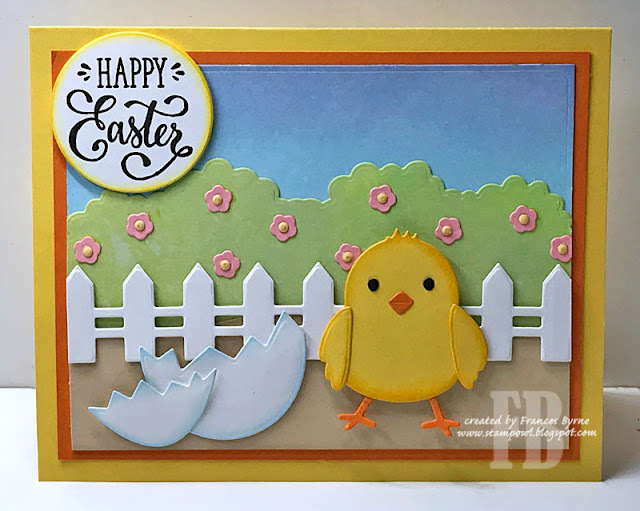 For the inside of the card I added another of the cute little chicks, this time so it looks like it is hatching out of the egg. I also added a sentiment combining the Words 2 - Thinking of You and Words 3 - Happy Holidays die sets.